Keto Sugar Cookies – the perfect soft and buttery low carb Christmas cut-out cookies for the holiday baking season. Best of all, these delicious classic holiday cookies are made with healthier, sugar free and gluten free ingredients. Cookie season is officially here! 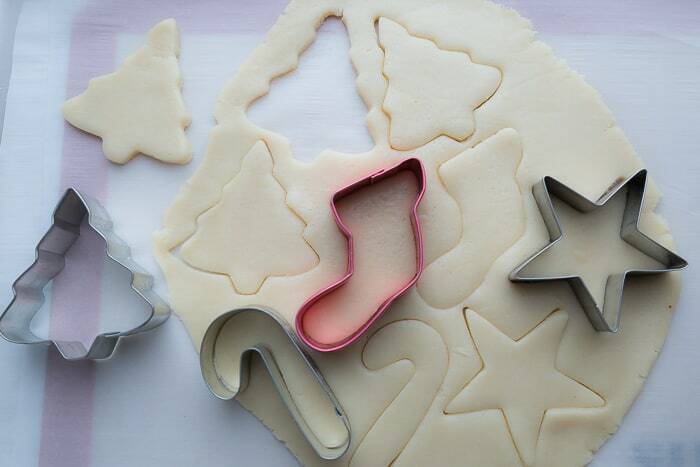 When it comes to classic Christmas cookies, cut-out sugar cookies are always a popular favorite. Ever year, we make and decorate about a few dozen of the classic iced sugar cookies for family, friends and neighbors. 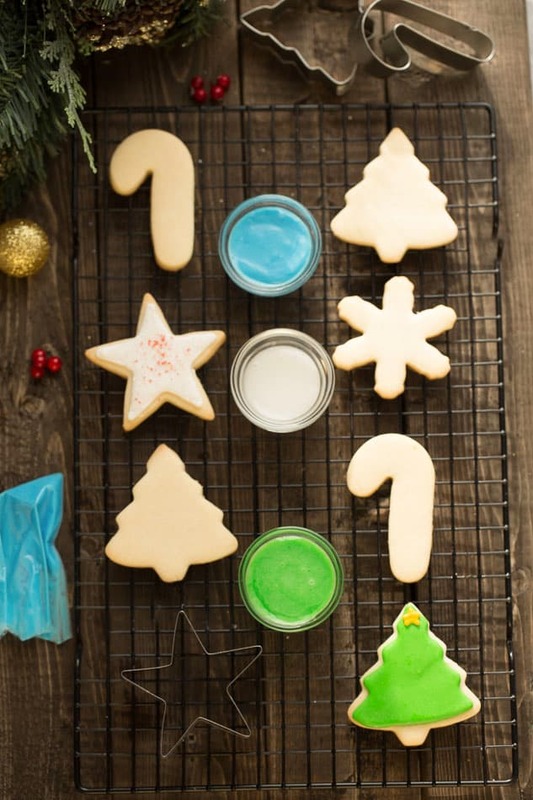 We usually wait until December while watching traditional Hallmark movies or listening to Christmas Carols while frosting cookies…..But this year, we got an early start making over all of our favorite Christmas cookies with low carb/ keto and gluten free ingredients my readers that are looking for more allergy and diabetic friendly treats. Starting with a few batches of these Keto Sugar Cookies. They are deliciously soft, buttery and keep their shape after baking. WHAT INGREDIENTS DO I NEED TO MAKE GLUTEN FREE SUGAR FREE CUT-OUT COOKIES? 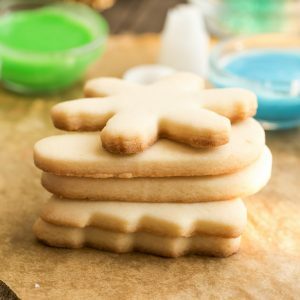 The secret to this no spread sugar cookie recipe is the addition of cream cheese and leaving out the egg. Leaving out the egg ensures that your dough does not puff out and spread and the cream cheese makes these soft and tender. HOW TO MAKE LOW CARB SUGAR COOKIES THAT DON’T SPREAD? Follow the recipe for the correct amount for each ingredient. To measure flour correctly, use the spoon and sweep method for flour or use a food scale for even more accurate results. Sifting your almond flour and coconut flour will help give a lighter and flaky cookie that will totally melt in your mouth and helps if you want to make the best keto sugar cookies. 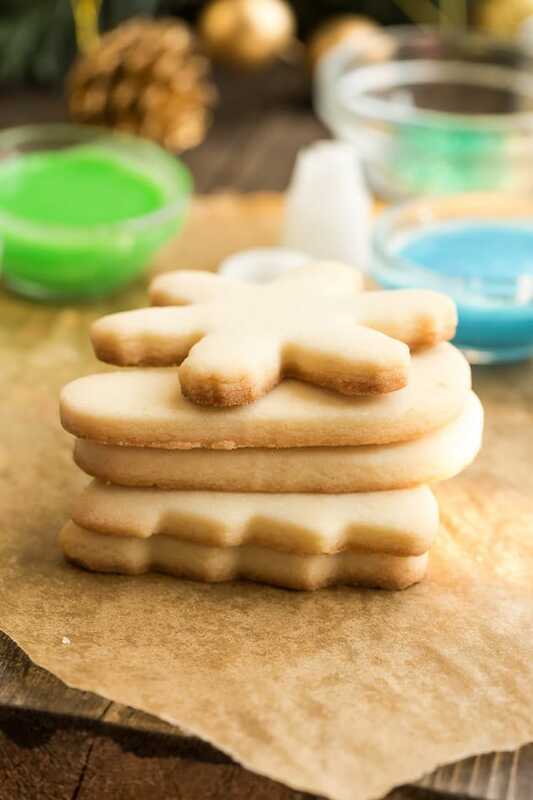 If you want to ensure that you end up with no spread sugar cookies, refrigerating the dough prior to baking helps the dough to become stiffer and hold up. In fact, I chill my dough twice – once before cutting and then again after to ensure that the dough is cold so the cookies don’t spread. When you roll out your dough, try not to use an over-floured surface. I find that if you have too much flour out, it can begin to dry out your cookies because it will absorb some. So I actually like to roll my dough out between two parchment papers – this way the dough doesn’t stick and you don’t have to worry about drying the dough out with any extra flour. Getting the right thickness of the dough can be a little complicated. If you roll your dough too thin, you will find you have a very fragile mixture that is going to fall apart easily. If you roll it too thick, you will run into the cookies not baking through or evenly. 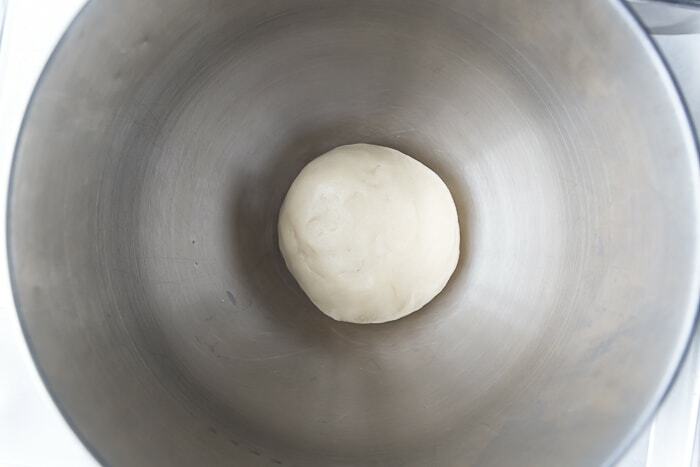 Aim to roll your dough around 1/4 inch to inch thick. You will find it is easy to work with and cooks well. When cutting out your keto sugar cookies, try to keep your cuts as close together so that you re-roll any scraps in order to use all of your dough. 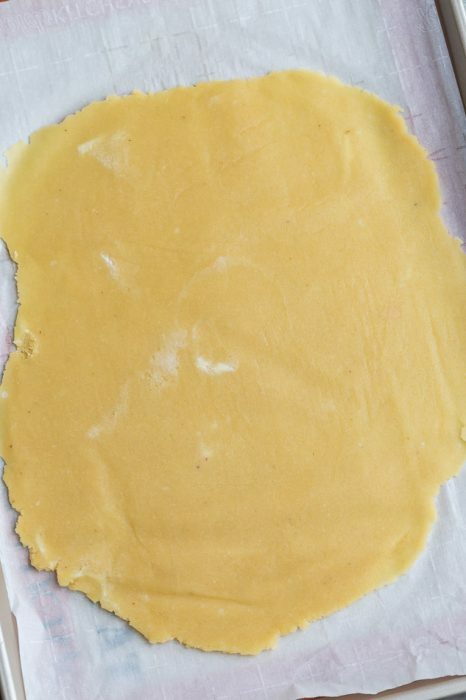 For thinner, crispier low carb sugar cookies: Roll cookie dough thinner (about 1/8″) and look for the edges of the cookies to be turning golden brown to know that they are done. 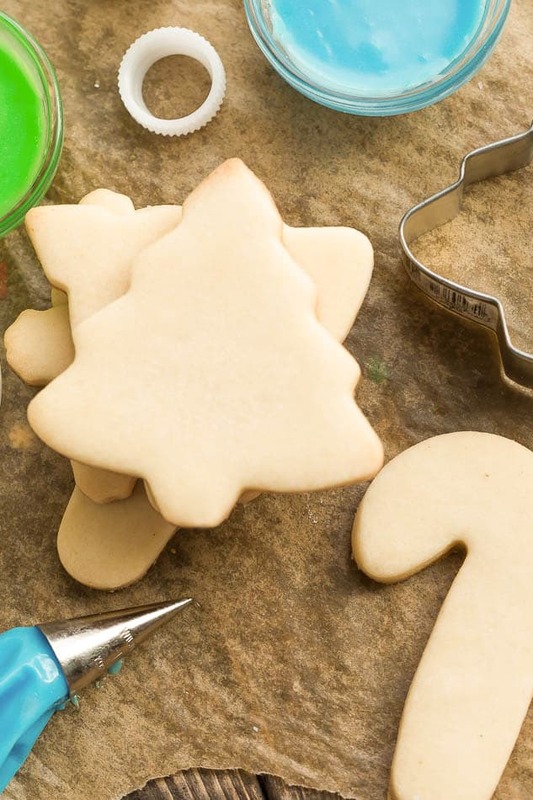 For thicker, softer no spread sugar cookies: Roll dough to about 1/4″, and watch for cookies to be just beginning to turn lightly golden around the edges. Let them cool completely on the cookie rack as they may break if you try to move them while they’re still warm. Rotating your pan(s) halfway through the baking process is a great way to have evenly baked cookies. Some ovens don’t cook evenly and turning the pan will give you the results you want. With keto sugar ccookies, I find if I over-crowd the oven it makes the cookies not bake as evenly. Some get done pretty fast, and others are still doughy in the center. I bake one pan at a time on the center shelf. That way I know, I will have consistent cookies each time. You don’t want your keto sugar cookies to over bake otherwise they will end up hard and crunchy instead of soft and tender. To test if your cookies are done, stick a toothpick in the middle and if it comes out clean, your cookies are done. Let the sugar cookies cool on your baking sheet for 15 minutes, then transfer to a cooling rack. I highly recommend using a cooling rack, as it helps stop the cooking process and cools the cookie easier. 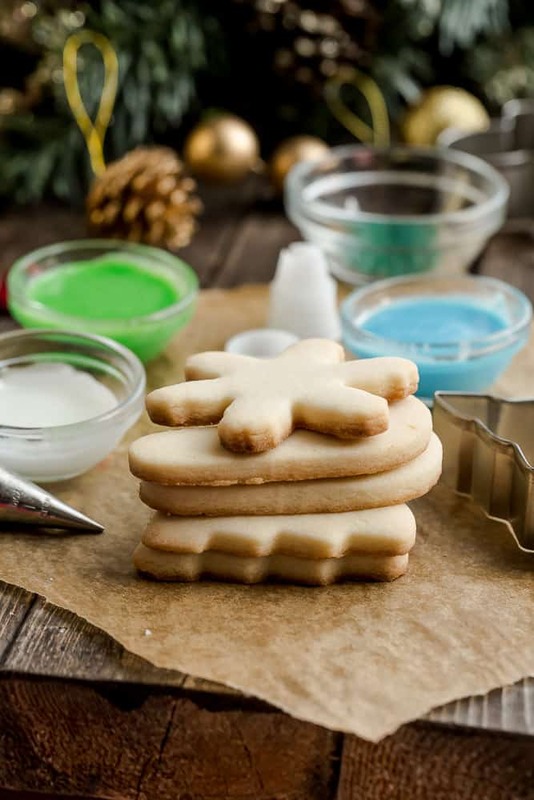 Make sure the cookies are fully cooled off before you decorate, or the frosting or icing can melt off the cookie. 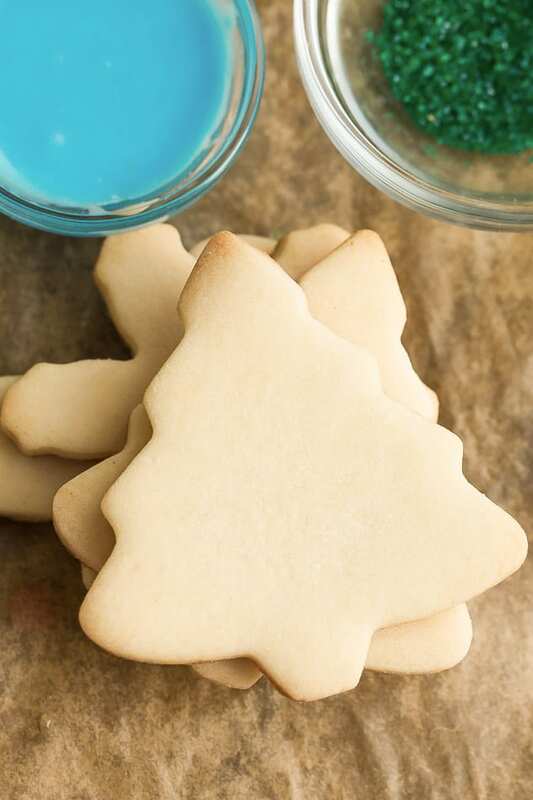 If you don’t plan to decorate these Christmas cut out cookies the day they are baked, let them cool completely and then transfer to a container with a lid. Lay parchment paper in between the layers to help them from sticking to each other. You can freeze unfrosted keto christmas cut out cookies as is as well. Just place a sheet of parchment paper in between layers and freeze. You can lay them flat in a sealed bag or container. The best part about making low carb sugar cut-out cookies is that you can leave them plain or decorate as desired. To make a simple Keto Royal Icing, mix together 1/2 cup of confectioners monk fruit sweetener (Swerve or erythritol) with 1 1/2 tablespoons heavy cream or coconut cream. Add a tiny bit of water as needed to thin out the icing then fill into a piping bag or a zip-top bag with the end cut-off. Keto Sugar Cookies - the perfect soft and buttery low carb Christmas cut-out cookies for the holiday baking season. Best of all, these delicious classic holiday cookies are made with healthier, sugar free and gluten free ingredients. In a stand mixer fitted with the paddle attachment turned to low speed, mix the almond flour, coconut flour, sweetener, and salt together until combined. Turn the mixer to medium, then add the butter, 1 cube at a time, and mix until the dough looks crumbly and slightly wet about 2 minutes. Add the cream cheese, vanilla and almond extract and beat for another 30-60 seconds until the dough just begins to form large clumps, scraping down the sides of the bowl as needed. Gather dough with hands and knead just until it sticks together (add 1 tablespoon of almond flour at a time as needed if dough seems too wet). Shape into a disc and wrap in plastic. Chill in the refrigerator for at least 35 minutes (or up to 2 days). Line two large baking sheets with parchment paper. Set aside. When ready to roll, remove and unwrap dough disc from the fridge. Place a large piece of parchment paper on a flat surface. Place dough in the center. 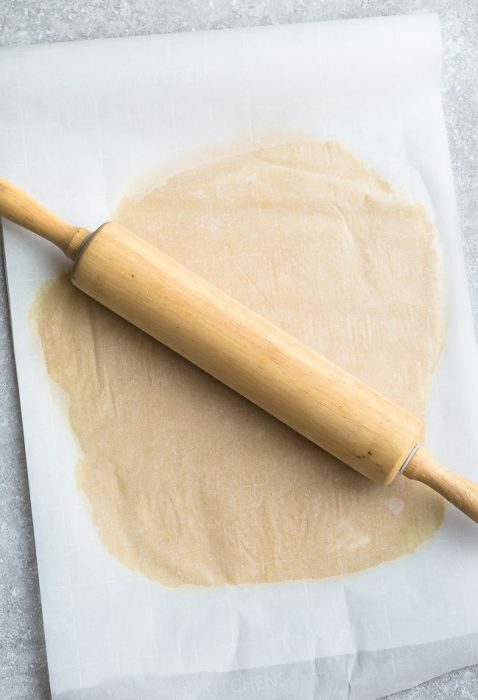 Place another large parchment paper on top of the dough and using your rolling pin, roll into 1/4 inch thickness (1/8 inch for thinner cookies). Place the cookie dough sheet in the freezer for 10 minutes. Remove the cookie dough sheet from the freezer and remove the top parchment paper. Cut into shapes with cutters of your choice. Place cut cookies on lined baking sheets, about 1 inch apart then place in the freezer again for 10 minutes (to prevent spreading). Repeat with any scraps. Bake cookies, one sheet at a time, on the middle rack for 13-17 minutes, rotating the pan halfway, or until edges are light golden brown (do not overbake). Frost or decorate cookies as desired. In a medium bowl, combine the powdered sweetener with coconut cream until smooth. Add water or lemon juice as needed to desired consistency. A big hit with our church group. Thank you! Thank you! Can’t wait to share these with our neighbors! These werte amazing! Thank you for the recipe! A new Go to? These were a big hit. Thank you! very delicious and easy to make. I’m taking them to work tomorrow for my coworkers to enjoy. They are very rich and sweet. I decided to put keto cream cheese frosting on the top. Next time i will omit the frosting. I’ll def make them again! Wondering if these could be made into a log to freeze and slice as needed, like Pillsbury slice n bake cookie dough? I’m not likely to make these just for holidays. this recipe is amazing! I made the cookies and used them in a gift basket. Love the taste and texture and how easy they are to make! I am making another double batch for a potluck. Thank you for sharing.